Spring is nearly here and we are all getting the itch to start a garden. Soon we will be breaking ground, amending soil, and getting our garden in full swing. His negativism did not hold my tongue back with excitement as I proclaimed with all my heart, “That is the beauty of it! We are not experts! If we can do it, anyone can!” I saw it all. 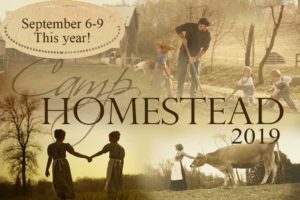 The whole video playing in my mind right then and there and I knew it was a call from God and that this Homestead video would bring people from all over the world back to Him, back to creation, back to the land, families working together for a greater good, and people enjoying the simple joys of life. He shook his head as he always did when I had one of my hair brained ideas and went back to what he was doing. Getting back to the basics and returning to the land is something our family of seven has been able to do. My husband and I were brought up in the city and had no experience with country living. When we first got married, all I knew how to cook was macaroni and cheese from a box, canned ravioli, and hamburger helper. We would have starved without a nearby grocery store. 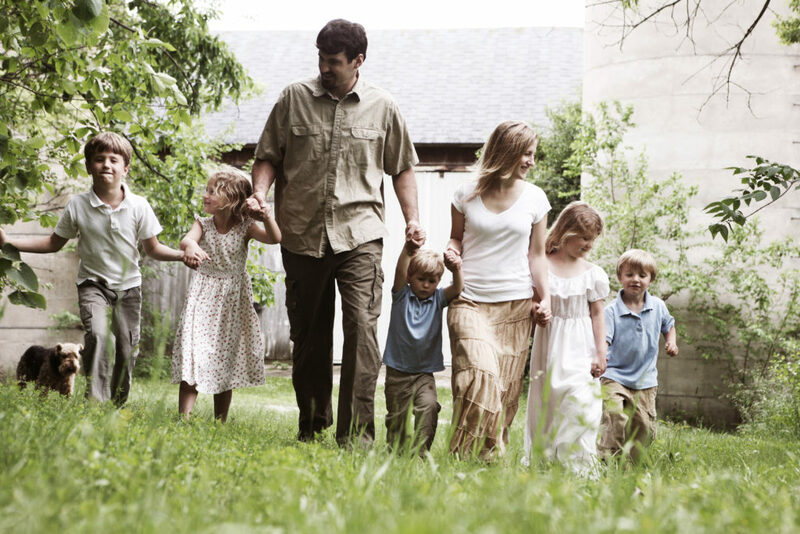 After we started having children we wanted to move out to the country and hopefully plant a garden. It was always a dream of ours to one day be self sufficient. We bought an old farm house on 3 acres, and fixed it up really nice. I met some Amish folks and began taking lessons on cooking, butchering, sewing, and canning. We spent one year’s tax returns on our first milk cow. We could not believe how fun and economical this lifestyle was. We started raising chickens, collecting eggs with our little children, and making really healthy meals. The first year we started canning with the Amish, we canned about 500 quarts of everything from tomatoes, green beans, apple sauce, to meat. I found that we were spending less time in the car going to the grocery store and more time as a family working together. There is no greater joy than building relationships with your children by working together for the greater good. We wanted to share our joy. Since we were professional photographers we decided to create a DVD teaching what we had learned. For over a year every new project was recorded on camera, raising chickens, making bread, growing a garden and all the other homestead type projects. Homesteading for Beginners DVD series was the result. Everyone who watches it says it truly inspires them try some of these LOST skills. These are skills our fore fathers knew well and used to survive hard times that would come upon them. Families would do well to learn these skills and get back to the basics. When jobs are lost or power is failing, it would be helpful to know how to provide food for their family. 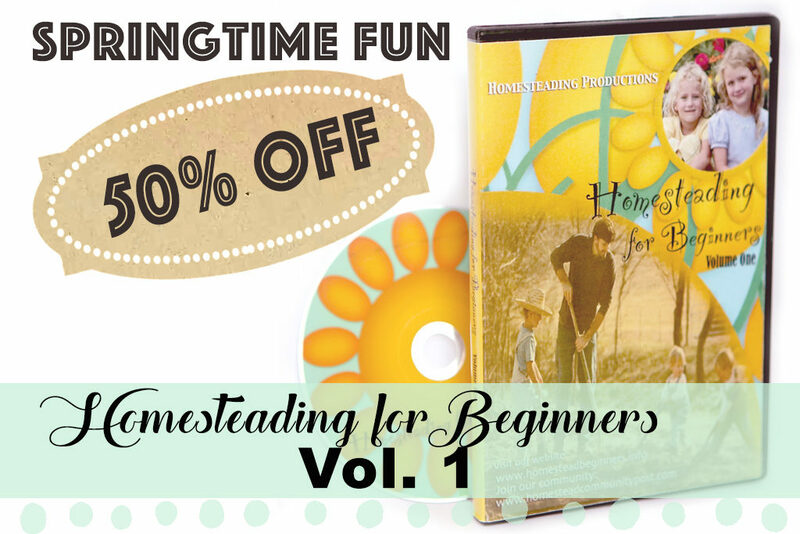 Our Homesteading for Beginners DVD I will give you basic skills for homesteading. This first DVD is a good teaching tool for children and parents, but is geared to keep children captivated. 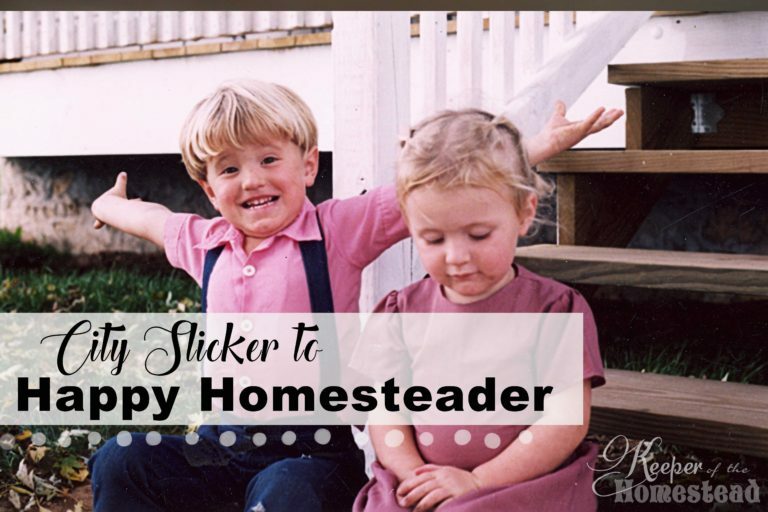 It is a basic step one for those who know very little of homesteading. This DVD introduces everything from milking a cow, making butter, cheese, kefir, planting a garden, to butchering chickens. Here is a little trailer we made to give you a little idea of what you will learn on the first Homesteading DVD. I pray it will inspire you and your family as you head into Spring full force. We are so excited to welcome you all to join us in Texas this September the 6-9 (Labor Day Weekend).